The SELenological and ENgineering Explorer "KAGUYA" (SELENE) was launched on September 14, 2007 (JST). 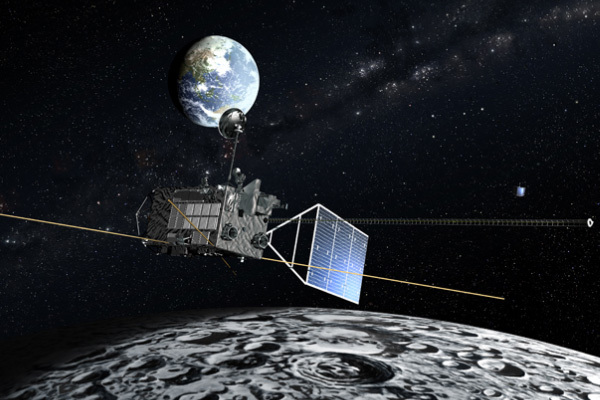 KAGUYA investigated the entire moon in order to obtain information on its elemental and mineralogical composition, its geography, its surface and sub-surface structure, the remnant of its magnetic field, and its gravity field. At the same time, the observation equipment installed in the orbiting satellite conducted environmental measurements around the moon such as plasma, electromagnetic field and high energy particles.